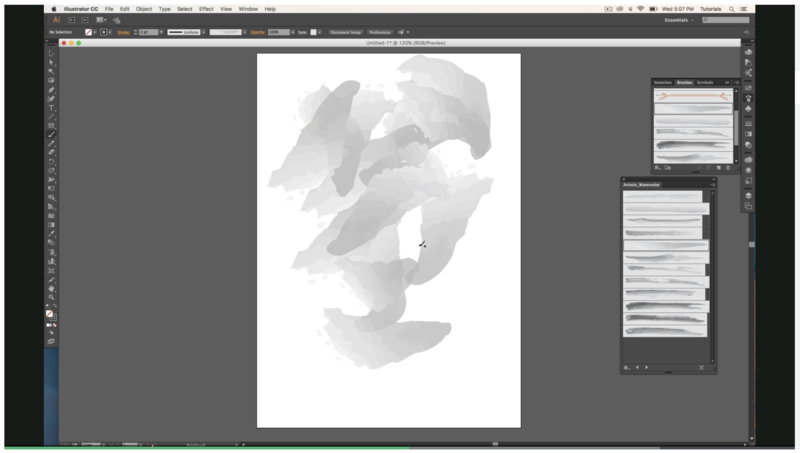 I'm working on a SkillShare tutorial to un-stuck myself and get back in to design. This problem seems silly, but I keep running into little hurdles in Affinity Design that I am having trouble surmounting. The current lesson has the vector watercolor strokes you see in picture one being turned into gradient strokes in picture 2. Picture 2 can probably be accomplished easily with a gradient map, but I'm failing to get the white-to-black transition in either pixel or vector brushes (Designer or Photo). I play with the controller and luminosity settings to no avail — my strokes all look flat and only show lightness or darkness when I overlap them. Suggestions warmly greeted! West Coast Namaste! 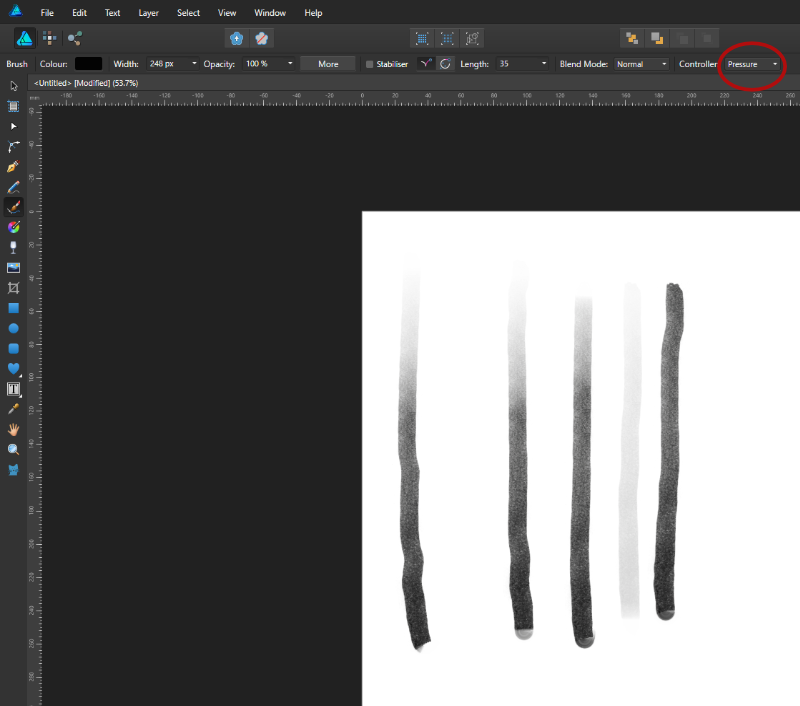 I haven't used any Adobe products since around CC1, so I can only guess at what the SkillShare tutorial is showing. Couldn't find it from some quick searches. But my guess is that the 2nd pic is showing how to turn a bitmap "watercolor," into vector shapes by using a auto trace tool which are then filled w. a gradient. 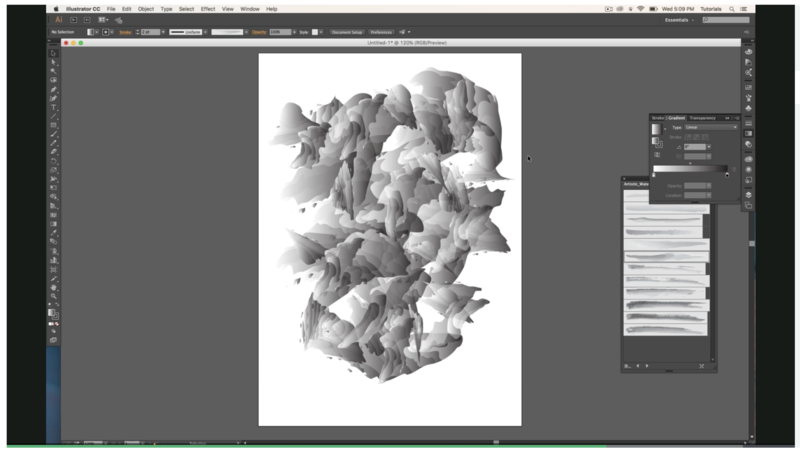 At this point Affinity doesn't have any tool to convert the bitmap to vector.